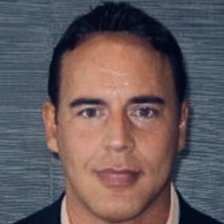 Anthony Sabella, CCIE #5374, is the lead cybersecurity architect for Cisco’s Enterprise Chief Technology Office, and has 20+ years of industry experience with global security design and strategy. Anthony leads innovative work streams on applying the latest virtualization and orchestration techniques to cybersecurity, designing solutions for his customers that self-manage and self-heal. Anthony has a Master’s of Science in Computer Science, is an IEEE Cyber Security member, and author of Cisco Press “Orchestrating and Automating Security for the Internet of Things”.